Magnetic Buzzer is a buzzer, the difference in the Piezoelectric Buzzer, magnetic buzzer buzzer is using electromagnetic coil to the role of electronic ring - to voice, used to make sound device for electronic products. The buzzer is divided into piezoelectric type and electromagnetic type.Magnetic buzzer, it is to use the principle of electromagnetic power when the metal diaphragm suction, no electricity in accordance with the vibration of the membrane elastic rebound, so the piezoelectric buzzer is Israel wave to drive, magnetic is 1/2 square-wave driving, piezoelectric buzzer high voltage is needed to have enough sound pressure, general advice for more than 9 v.Some piezoelectric specifications can reach above 120dB, and larger sizes can easily reach 100dB. 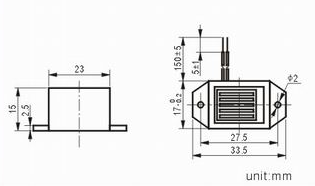 Looking for ideal 23x15mm Machnical Transducer Manufacturer & supplier ? We have a wide selection at great prices to help you get creative. All the Machnical Transducer with Wire are quality guaranteed. 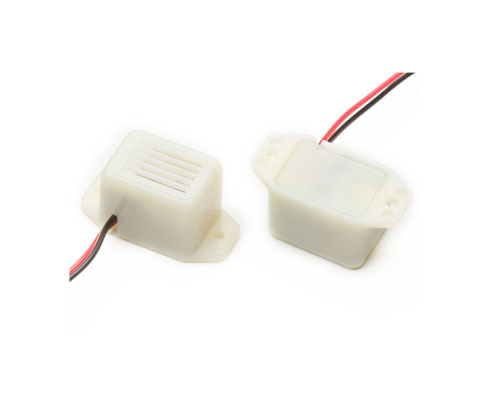 We are China Origin Factory of 12v Transducer with Wire. If you have any question, please feel free to contact us.